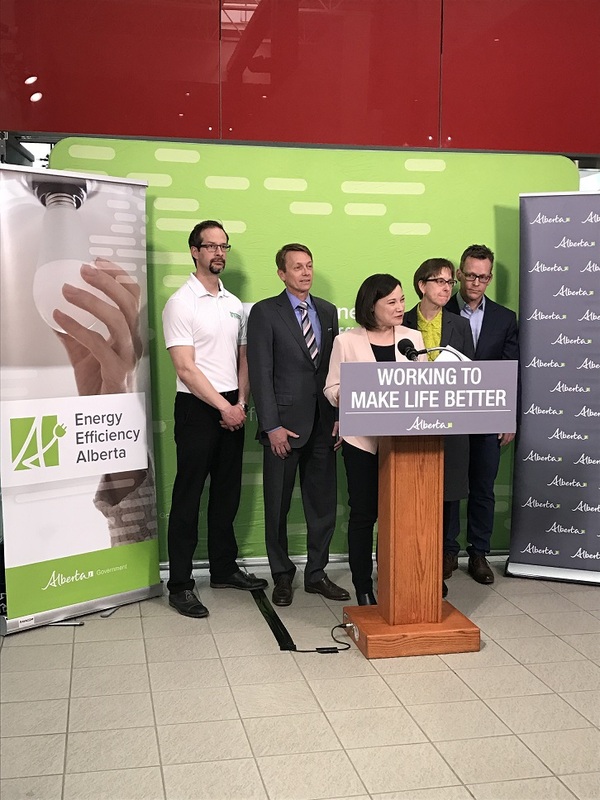 On April 18, 2017, the Alberta Government’s Minister of Environment and Parks, Shannon Phillips, announced the Energy Efficiency Home Improvement Rebate program at All Weather Window’s Corporate office in Edmonton. The rebate program will reward homeowners with rebates for improvements in their home including insulation, tankless hot water heaters and triple pane, low-e, argon windows like the products we sell at All Weather Windows. This is great news for homeowners looking to upgrade their windows and doors. Not only will you save money through the rebate program, but more importantly, you will also save on energy costs in your home over the long term. The program starts on April 28th. Up to $1500 in rebates could be available for window replacements and the windows must be installed by an approved contractor. All Weather Windows Renovations in both Edmonton and Calgary are approved contractors for the program. To book a free consultation to see how upgrading your windows can help save you money, please call 1-800-639-2665 or request an appointment online. For more information on the rebate program, please see the Energy Efficiency Alberta website.